One of the greatest things about working in the graphic design field is having the opportunity to collaborate with fellow creative minds. It is easier today in the digital era to communicate, exchange ideas and inspire people more than ever before. Two areas that especially have a lot to gain from joining forces are photography and design. Last week a few members of the Array team were able to work closely with the talented crew at Todd Biss Photography on an in-studio photo shoot for one of our faithful clients, Homz Products International. 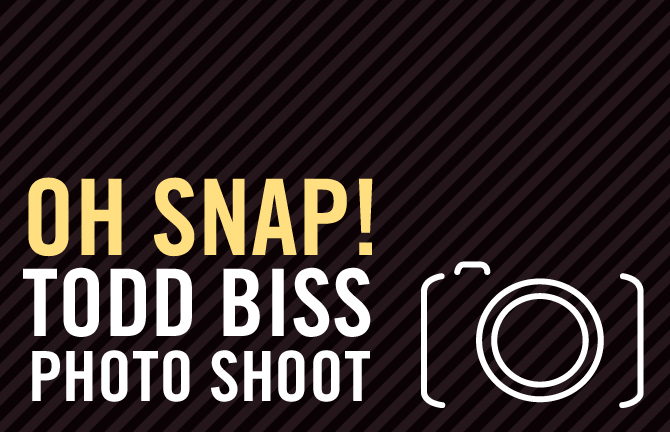 With a talented team of photographers, retouchers and producers, the photo shoot at Todd Biss was fantastic! The relaxed atmosphere encouraged open dialogue about art direction, lighting and product positioning to allow for a seamless experience. Designers and photographers both convey messages visually, and it’s always refreshing being able to share unique perspectives. At Array, we like to think of ourselves as one big happy family – we work hard and we play hard! We try not to take ourselves too seriously, and often our most creative work comes to life after we take time out to watch the latest Weird Al Yankovic music video or get down to some old school hip-hop. There’s a lot to be said about working somewhere that you love, and we get the feeling that the staff at Todd Biss feels the same way we do! We love collaborating with new creative partners (especially fellow Akronites), and hope to work with Todd Biss much more in the future! Be sure to check out the outtakes on our Instagram feed: instagram.com/arraycreative.